Looking for a turnkey web hosting solution that includes a website builder and everything you need to create an online store? 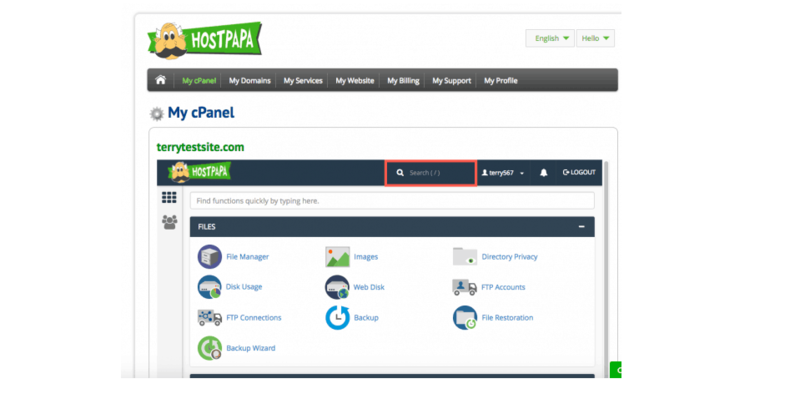 Read our review of HostPapa to find out if it’s right for you. Quality hosting requires speed, security, and a solid interface. HostPapa does it right by providing an incredible customer service/technical support team, numerous resources for completing your own hosting homework, and the security and uptime guarantee that you need. HostPapa has a strong set of shared, WordPress, reseller, and VPS hosting plans for every sized business. That’s why we want to take a deeper dive into HostPapa’s infrastructure. You’ll learn about what the company has to offer, how it keeps its plan prices low, and how to navigate its dashboard. Let’s get to it. How did HostPapa come to be? Currently, HostPapa resides in the shared hosting space. VPS is the main alternative, but it’s clear that the company has a goal of attracting small business (as well as medium-sized ones) as its core demographic. You might also consider the WordPress and reseller options if shared or VPS plans aren’t right for you. The company sells hosting to businesses all over the world, but it’s located in Canada. Almost 200,000 websites are currently running due to the HostPapa servers. HostPapa started in 2002 but offered limited options at that time. HostPapa didn’t break into the shared hosting space until 2005, making it more popular as a low-cost provider with solid uptimes and speeds. HostPapa eventually partnered with the free Cloudflare CDN service, giving its customers an even better way to improve site speeds for users. HostPapa has also been known as a “green-oriented” company, since it consistently makes decisions to save energy and support the earth. Every year, HostPapa requests energy-use audits from at least two independent entities. With the results, HostPapa purchase green energy tags, or certificates, from certified green energy supplies equivalent to HostPapa’s level of consumption. The green energy suppliers then pump energy equal to the amount used by HostPapa back into the power grid, ensure that HostPapa remains a carbon neutral company. HostPapa has incredible pricing for both shared, WordPress, reseller, and VPS hosting plans. The company typically has wonderful promotional rates, so you can get started with a website for a rather cheap price, too. You can also opt to pay for a lower rate upfront, keeping you locked in for a longer period. HostPapa’s pricing has pretty much stayed the same over a long period of time, but the company tends to release random promotions for holidays as well, so be sure to look out for that before signing up. Shared hosting plans are HostPapa’s bread and butter. With these plans, you’re technically renting a little bit of server space that also gets rented out to many other businesses. On one hand, this is good for keeping costs low. However, shared hosting plans are often only recommended for small to mid-sized businesses who do not expect to handle large loads of customers. High traffic sites best look elsewhere. What’s on Offer with VPS Plans? The VPS plan provides far more power than what you’ll get in a shared hosting plan, with improved memory, CPU power, storage, transfers, and more. It’s not quite a dedicated server, but you gain more control over your sites and the root levels of the server, making it somewhat similar to a dedicated server, but with lower costs. HostPapa is known as a shared hosting provider, but the VPS comes in handy if you’d like more control over your server or additional resources like disk space without the extremely high costs of a dedicated server. In addition, VPS hosting has more robust features for hosting software, applications, e-commerce websites, and high-traffic business sites. Not to mention, website security is included with the VPS options. You can opt for a cPanel to manage your site, but the VPS plan does allow you to choose an alternative if you would like. The HostPapa VPS offers combinations that range from a 4 Core CPU, 1.5 GB of memory, 50 GB of disk space, 1 TB transfer, a fully managed VPS all the way up to a 12 Core CPU, 24 GB of memory, 1 TB of disk space, and 8 TB transfer. All hosting plans from HostPapa have a 30-day money back guarantee attached. So, if you decide that it’s not right for you, it allows you to get all of your money back within that first month. Those using the WordPress content management system will find the specialized features of a WordPress plan useful. There are three different WordPress options available, including the top-tier Business Pro option. The Business Pro option is of interest to small business owners interested in selling online due to the security and performance enhancements included. The reseller hosting plans are great for those who need support for a large number of websites. Reseller hosting is also good for those looking to start their own web hosting business. Most plans also include free apps and marketing credits. Higher tier plans include more advanced security features and training sessions. Domain privacy: pay to hide most of your personal information. In general, average customers (or anyone, really) can look up who owns a site unless you pay for this service. Not having your domain registration private may lead to problems with spammers. Sitelock Security Seal: tell your users that the site is secure, along with multiple tools for blocking everything from hackers to other cyber threats. An automated website backup: have your site backed up at all times. The company also has a 1-click restore option in case you lose any site data. HostPapa’s pricing is cheapest for the first term, and over the longest contract period. You’ll pay much more for shorter packages. This is the case with many host companies. Shorter packages are more expensive. Here’s a quick overview of what you can get from HostPapa. Websites: Create a website in minutes with their DIY site builder or get HostPapa professionals to create a site or online store for you. 400+ apps: Plug them into your website to create new functionality, like forums, image galleries. Lots of business apps are available like shipping trackers, invoicing. Companies can also purchase domain names through HostPapa, with or without a hosting plan. The company asks you whether or not you’d like to transfer over a previously owned domain name or buy one directly through HostPapa. You might have to find one that’s available, but the company has a search tool dedicated to the task. In terms of features for all shared hosting, you gain access to unlimited storage and bandwidth, along with free hosting migration. As for customer support and technical service, beyond the regular ticket system and phone line HostPapa provides standard manual backup features for ensuring you don’t lose any data in case your site gets hacked or breaks. The Sitelock Security seal is a way to show your customers that your site is secure, but the main reason you would pay for that service is to keep out malicious brute force attacks or malware. Automatic backups are generally what users are interested in, however. And unfortunately, you have to pay extra for them here. The price is decent, however, so the option should still be affordable for most companies. To manage all aspects of your website, including file transfers, email configuration, domain names, and so on, you will need a control panel. If your hosting plan comes with a control panel (which pretty much includes all plans except the VPS ones), you will get the cPanel Control Panel. HostPapa does not customize the control panel in any way, so there is nothing new for those who have used cPanel elsewhere. Manual backups are offered through the control panel, but you do have the option to pay for automated ones. The control panel is also where you’ll find the one-click installations for CMSs like WordPress. Will HostPapa Migrate my Site? If you’re transferring over from a previous hosting company, the free site migration will get you online without doing any work on your end. Brand new websites can take advantage of the one-click website installation buttons. These are offered for systems like WordPress, Joomla, and Drupal. Basically, you don’t have to download and install something like WordPress yourself. It’s all done with the click of a button in the HostPapa control panel. The average webmasters will most likely want to design their websites through their own CMS (like WordPress,) but HostPapa has a free website designer with drag-and-drop functionality. As you may have experienced in the past, hosting companies aren’t exactly known for incredibly feature-rich web designers, and HostPapa is no different. Regardless, the builder’s organization is solid for beginners and intermediates, and you receive access to all sorts of website templates and widgets. So, for example, you could drop a quick business website template into the designer, then utilize widgets and apps for social media buttons, contact forms, maps, and other items. This process will give you a barebones website, but sometimes that’s all you need for a simple web presence. HostPapa has an easy-to-use website builder. One marketing feature of the website builder is the ability to make your Facebook Pages look and feel to your website. In addition, all of the HostPapa templates are ready to be viewed on mobile devices. Once again, average webmasters would most likely want to build their e-commerce websites on a CMS or an e-commerce platform like Shopify. However, HostPapa does have the functionality to launch an online store within minutes. For instance, it has several open source e-commerce apps, mobile selling, and Facebook integrations. The best part is that you can connect to numerous payment gateways like PayPal. This helps when you’d like to accept credit cards. Along with dedicated IP addresses and SSL providers, the HostPapa e-commerce offerings are rather impressive. HostPapa can help businesses get online quickly. Read our extensive review of the HostPapa website builder. Small businesses, especially those looking to sell online, may need SSL certificates. HostPapa has partnered with GlobalSign for those needing to purchase certificates for their websites. The HostPapa servers are incredibly fast and resilient, with 3x server performance, 8 cores, and a minimum of 32 GB RAM. The more technical aspects of HostPapa include the free Cloudflare content delivery network, offering faster speeds to your users all over the globe. Cloudflare has 154 datacenters across the world to speed up content delivery no matter where your customers are from. The main customer support comes in the form of a 24/7 phone, live chat, and email support. Customers can open tickets and browse through the previously asked questions in order to figure out the answers to problems they may have, too. Sometimes, web hosts will grant premium users a “fast track” when it comes to support, but it does not appear that HostPapa extends this to its VPS subscribers. Video: HostPapa takes you through the various support options. You also gain access to video tutorials and a knowledge base with answers to commonly asked questions. HostPapa also has a Network Status page you can visit whenever your site goes down. Although uptime is pretty solid, it’s nice to know you at least have a place to check just in case something happens. HostPapa currently offers support services in English and Spanish. Overall, HostPapa support meets all of the needs of the average user. Compared to competitors, it stands out for its live chat, extensive knowledge base, and the uptime guarantee. Let’s review the pros and cons, shall we? If you’re keen on finding a hosting company that supports “green” initiatives, you want a company that offers domain name services, you’d like to get shared, WordPress, reseller, or VPS hosting for a solid price, and you like the idea of having a CDN on-hand, along with other tools like a website builder and automatic backups, HostPapa is definitely the right call. But if your company needs a dedicated server, you’re worried about website speeds for larger websites, or you’d like to find a hosting provider with more advanced website design tools and features, you’re probably better off considering other hosts first. In the end, unless you have very specific needs, HostPapa is an excellent choice for most websites. If you are a small business owner just getting started, you can’t go wrong with HostPapa. Even after reading our in-depth discussion of HostPapa, you may be uncertain. That’s why we recommend checking out our sister site WhoIsHostingThis.com where you will find hundreds of actual customer reviews. Find out what it’s like to host with HostPapa from the people who have actually done it. You are here: Home > Web Hosting: Which Hosting Company Is Best For You & Your Website? > HostPapa Review: Perfect Hosting For Some Businesses But Does It Fit Yours? 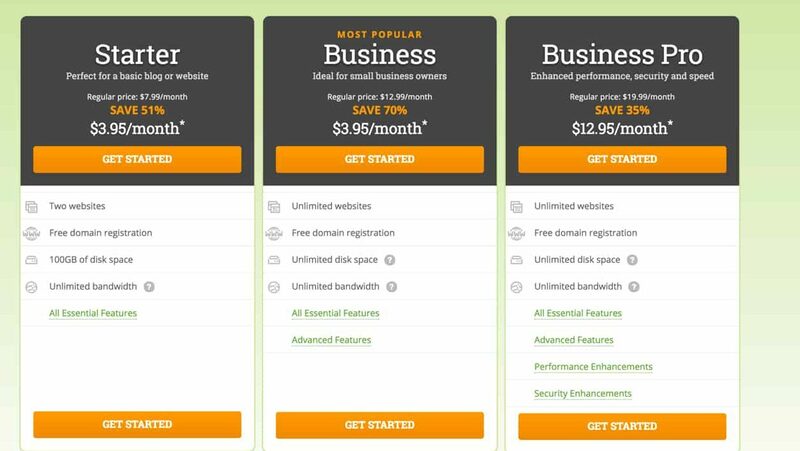 Previous: Web Hosting Hub Review: Does This New Kid on the Block Have What It Takes? Next: Pressidium Review: Can This WordPress Hosting Beat BlueHost Today?